Lounge by the Pool at Villa Gimino in Central Istria. This four bedroom villa (all with en suite bathrooms) can comfortabily accomodate eight guests. Villa Tila stands out with its wonderful home atmosphere, beautiful surrounding nature, cozy rooms and well equipped interior! 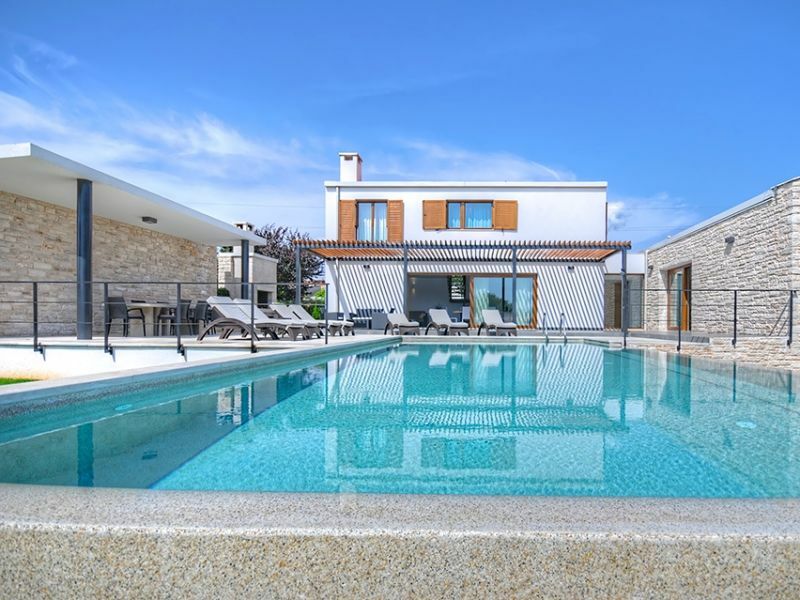 Villa Nika is a newly built, detached house for 4 people (+ 2 children) with swimming pool. 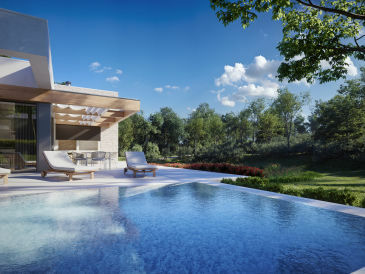 Brand new beautiful Villa with large pool in Central Istria. Just few minutes to touristic hotspots of Porec. 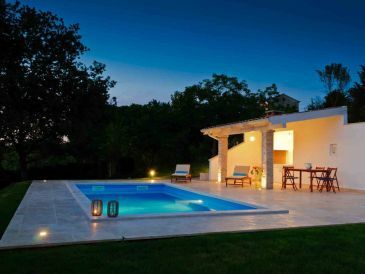 Spacious Villa, with private pool in a peaceful village away from city crowds! 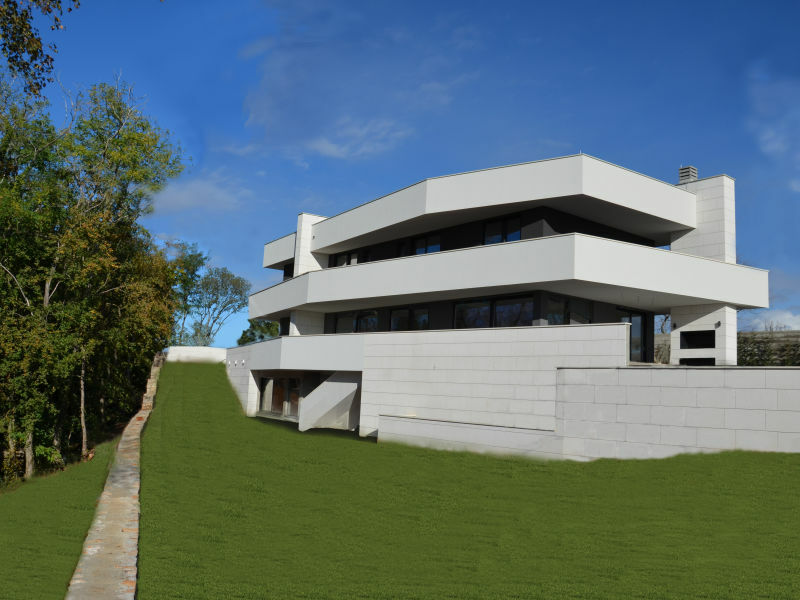 Modern villa with pool near Svetvincenat. 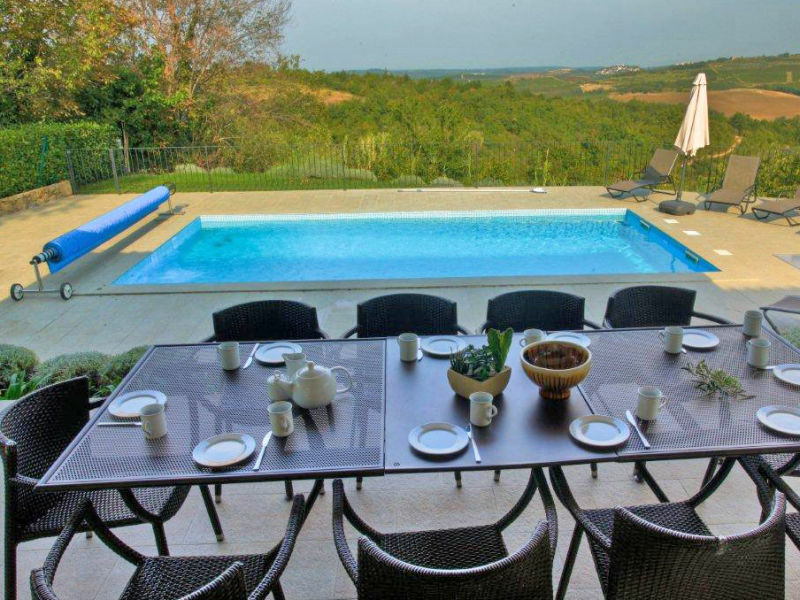 Welcome to this wonderful villa with infinity pool, with a wonderful location in central Istria. 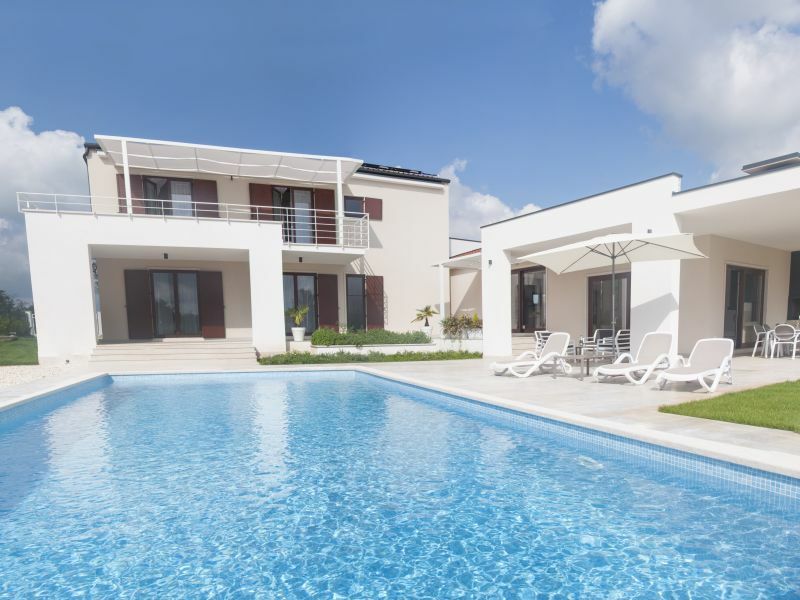 Beautiful 4 bedrom and 5 bathroom, newly built luxurious and comfortable villa with pool on plot of 2000 sq.m. 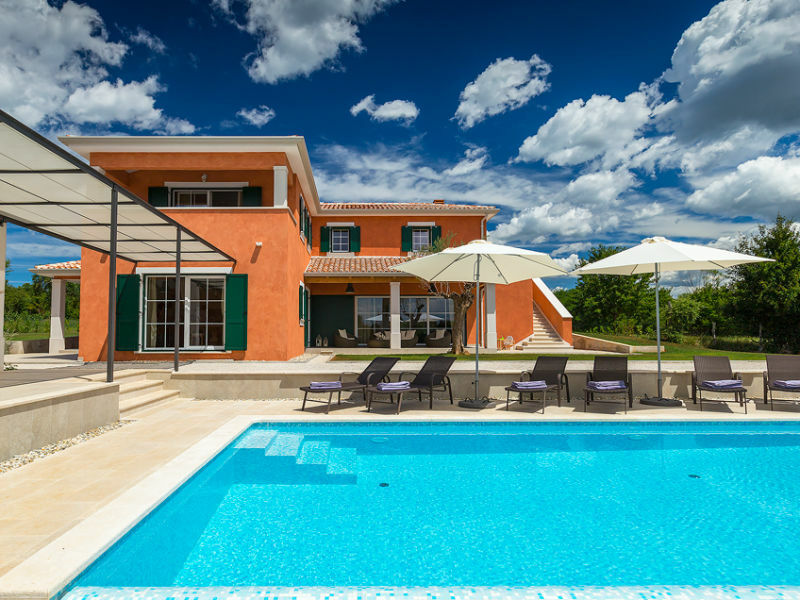 Beautiful Villa with stunning view on the hill in Grožnjan, suitable for 8 people. 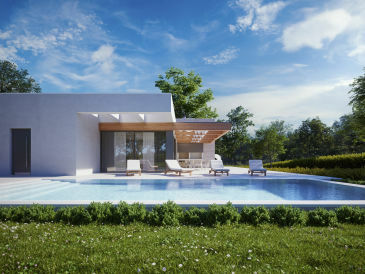 Perfect for nature lovers is the House Katarina-K1 surrounded by Mediterranean vegetation. 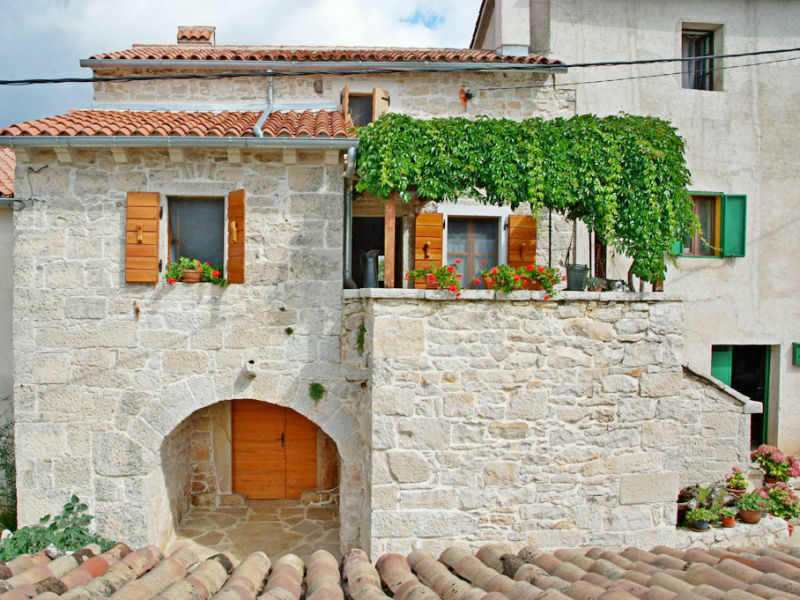 Villa San Bartolo is located on a small hill near the medieval town of Motovun overseeing the green rolling hillsides and ancient forests. 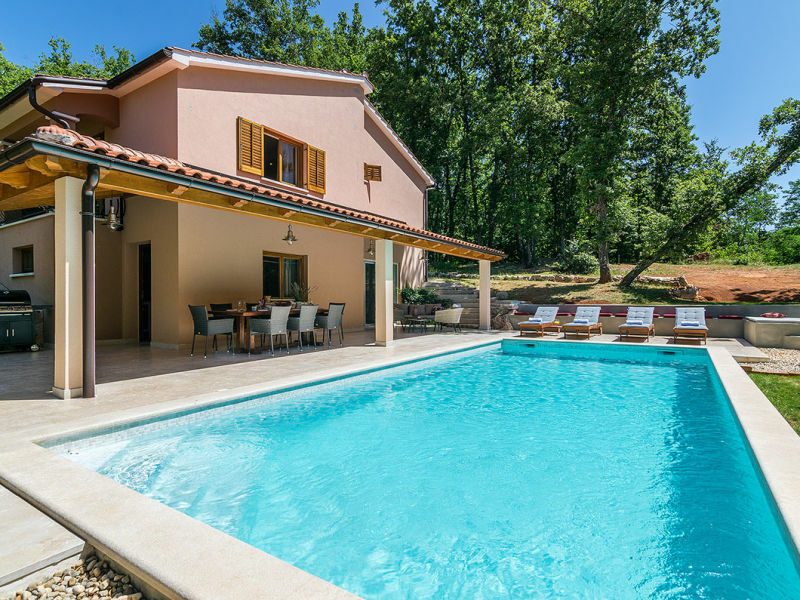 Beautiful Istrian villa with swimming pool for 8-10 people with the best equipment, almost luxury! 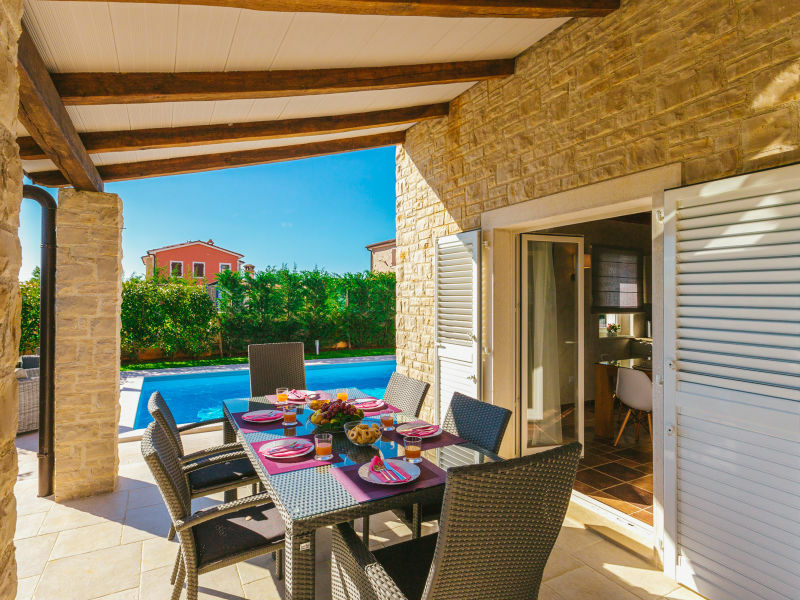 New built house, private swimming pool,45 m2.In Sveti Petar u Sumi, small village in the heart of Istria, Croatia.Closed plot, 13 people max.